Andy Singh came to the AIPM in 2005 as a Detective Superintendent with the Australian Federal Police. As the first AFP visiting fellow to the AIPM, Andy set about building a number of programs designed to support the AFP and its jurisdictional partners meet the challenges of counter-terrorism. These include the Leadership in Counter Terrorism Program, the Regional Executive Leadership Program and the Leadership in Criminal Intelligence Program. Prior to coming to the AIPM, Andy spent 15 years with the AFP across the drugs, intelligence, and international portfolios. He was outposted to ASIO for the Olympic Games and was part of the inaugural Joint Strategic Intelligence Group. Andy’s involvement in Intelligence gave him scope to understand the importance of organisational learning and change as a means of confronting a changing criminal environment. In 2007, Andy left the AFP and AIPM to be a Senior Manager with the Australian Graduate School of Management, Australia’s leading executive business school. Andy was able to work with a range of public and private bodies, including some of Australia’s largest companies, in building their leadership capacity in support of their business strategy. In the wake of the global financial crisis, Andy left the AGSM and took over the running of the family companies, a task he was initially ill-equipped for. But applying the wealth of management and leadership experience picked up from the AFP, AIPM and AGSM, Andy was able to steer the companies through to survival and recovery, to the extent that by the end of 2010, Andy was able to take up an offer to return to the AIPM. 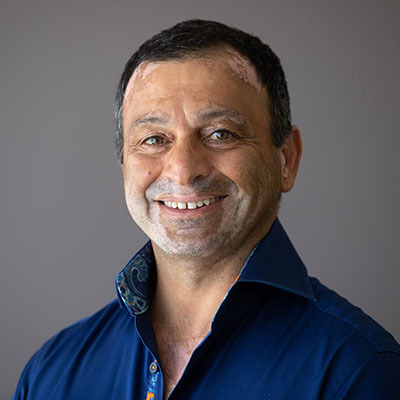 Andy holds a Bachelor of Arts and Masters of Arts (Arab and Islamic Studies) from the Australian National University, and a Graduate Diploma in Information Systems from the University of Canberra and a Graduate Certificate in Applied Management from the AIPM.